Justin Kesner, Senior Vice President of Amity’s Legal Professional Liability Division, leads a team of brokers and specialists in the lawyers professional liability industry. 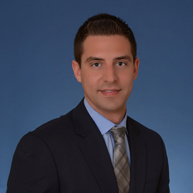 Justin joined Amity in 2008 with an interest in LPL business as it was always his plan to become an attorney. After two years of learning the coverages, scope of risks, and insurers in the market, Justin was offered the divisions management role and an equity interest in the company. Since 2010, Amity’s LPL business has grown more than four times due to his teams servicing skills and goals to expand their footprint by adding new clients. Justin changed Amity’s traditional “retail only” approach to a new model, adding wholesale business to Amity’s offerings which allows other brokers and agents to utilize his teams expertise and exclusive insurers. Additionally, Justin has facilitated four LPL acquisitions for Amity, some of which brought more exclusive programs into New England as well as new states. Most recently, Amity’s LPL division has acquired the NH Bar Associations Insurance Agency and is exclusively endorsed by the NHBA. For those with a presence in the industry, they know being a state bar endorsed agent is the pinnacle of this arena. Justin holds a Bachelor of Arts degree in Political Science from The University of Arizona in Tucson. While a college student, he was an active volunteer with a number of projects, including the Ronald McDonald House, and continues to donate his time to philanthropic organizations in the Great Boston area to this day. A resident of Milton, MA, Justin is proud to make mention of his family and their love for traveling.